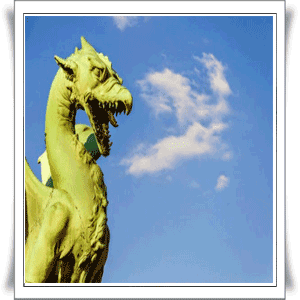 Peluda is a giant dragon phantom figure appears in the Middle Ages in Huisne river in France. The monster is green dragon with sharp teeth, body size is so big and strong that when he plunged into the river it will give rise to huge flood and destroy farms in the surrounding area. Like the dragon in general, he can shoot fire at its mouth, have sharp spines on the back and has a large and powerful claws that can create a disaster. Local legend says, is like a giant dragon terrorizing the countryside with murder, and it is a habit of this phantom dragon while foraging. But he failed to take a citizen if you're finding snacks a woman who was engaged. The dragon is said that stealth can be defeated if one can touch a point of weakness contained in the tail of this dragon. Once defeated, stealth giant dragon will be subject to that person forever. You want to try to beat?